Maura Murray was last seen on Route 112, a road in Haverhill that leads to the White Mountain National Forest. HAVERHILL, N.H. — Authorities have searched a single-family home in a northern New Hampshire town near the last known sighting of a 21-year-old woman who disappeared back in 2004, the attorney general’s office said Wednesday. 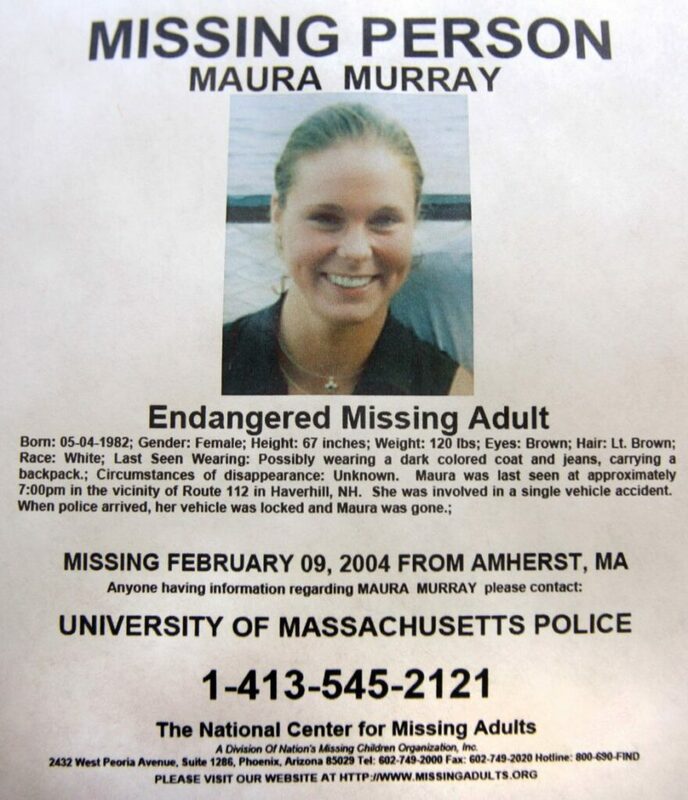 The attorney general’s office said in a news release that one of the areas searched over the years in Maura Murray’s disappearance included the home. It said state police and the FBI conducted a further inspection. The office planned to give an update later Wednesday. WMUR-TV showed images of a house and reported that authorities were seen bringing a jackhammer into the home. Murray, a University of Massachusetts-Amherst nursing student, lied to professors about a death in the family and left campus on Feb. 9, 2004, driving into New Hampshire. She was last seen on Route 112, a road in Haverhill that leads to the White Mountain National Forest. She had crashed her car, which was later found. The attorney general’s office said the search was being conducted “In cooperation with the current homeowners. Murray’s father, Fred Murray, believes his daughter is dead, the victim of a crime. In February, the attorney general’s office said it was aware of his contention that cadaver dogs and a radar scan identified something underneath the basement floor of a house in the area. The area outside the home had previously been searched, and nothing was found. Fred Murray and supporters organized a search of a basement near the crash site last fall after getting the homeowner’s permission. He was unable to contact a prior owner, but the property had since changed hands. Messages seeking comment from Fred Murray were left Wednesday.